In a large pot or dutch oven, heat the oil. Add the garlic and stir. Add the egg and cook until softly scrabbled. Add the tofu (or chicken), cook until lightly fried about 3 minutes. Add the broth, then add the noodles, soy, sriracha, fish sauce, and peanuts. Cook until noodles have softened, about 5 minutes. 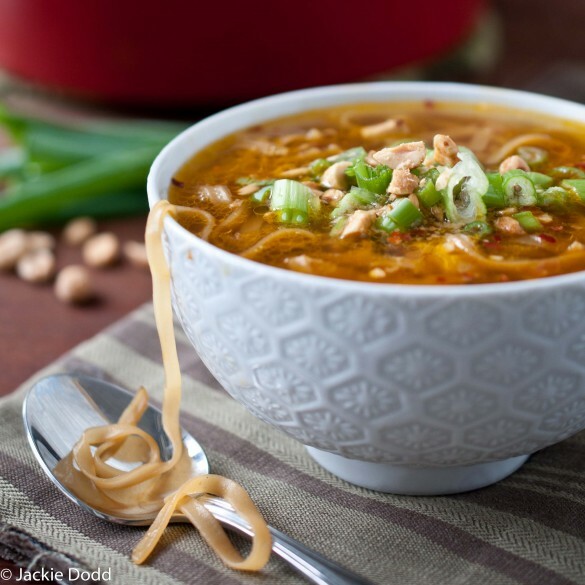 Serve topped with peanuts and red chili flakes.